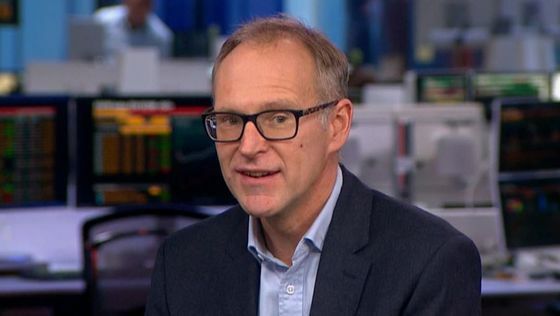 (Bloomberg) -- The asset management industry is “kicking and screaming” as it’s forced to adapt to quantitative trading, while managers who ignore it face irrelevance, said Sandy Rattray, chief investment officer at Man Group Plc. Rattray, speaking at the AI and Data Science in Trading conference Tuesday in New York, compared money managers with taxi drivers who are facing the threat of Uber and automated vehicles. “You can either protest and block all the streets, like they do a lot in Europe, or you can say, ‘What the heck am I going to do about this change’ and get on with it and incorporate these new technologies,” said Rattray, 49, whose firm uses quantitative techniques on about two-thirds of its assets. The best human money managers are figuring out how to prevent themselves from being redundant and are incorporating natural language processing in the way they run their money, the CIO said. Point72 Asset Management and Coatue Management are among hedge funds that have been hiring scientists and adopting quant strategies. Rattray said executing buy and sell orders is one of the easiest places to apply machine learning. Armed with huge amounts of data, traders can find clear patterns showing them the best banks to handle their orders. Man trades about $6 trillion to $7 trillion a year and uses machine learning to execute almost all of those wagers, he said. The London-listed firm, which also uses quant methods in its discretionary business, oversaw $108.5 billion as of the end of last year. “One of the things that I spotted in the past was that traders would favor those banks that had given them nice lunches, and I thought that was a really bad way of making trading decisions,” he said. “I think it’s garbage,” he said.